We have an extensive variety of Horse Snaffle Bits on sale now at economical pricing. Rest assured you will be given only superior value products here at our online Horse Tack Store. All our items are sold at unbeatable discount prices.This bit is very sturdy and can easily last you several years even when used on a daily basis. This item also gives lateral control and measures 2 1/2'' rings, 13mm mouth and 6'' cheeks. The Full Cheek Bit that we offer is a Top Quality item for your Horse. This item is also made of top quality materials that will last a lifetime. 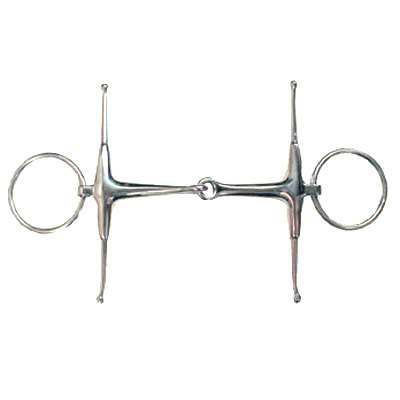 If you are in need of Fulmer Full Cheek Snaffle Bits this item is just what you need. View the product image above and check out the precise details and craftsmanship put into this remarkably durable Fulmer Full Cheek Snaffle Bit.